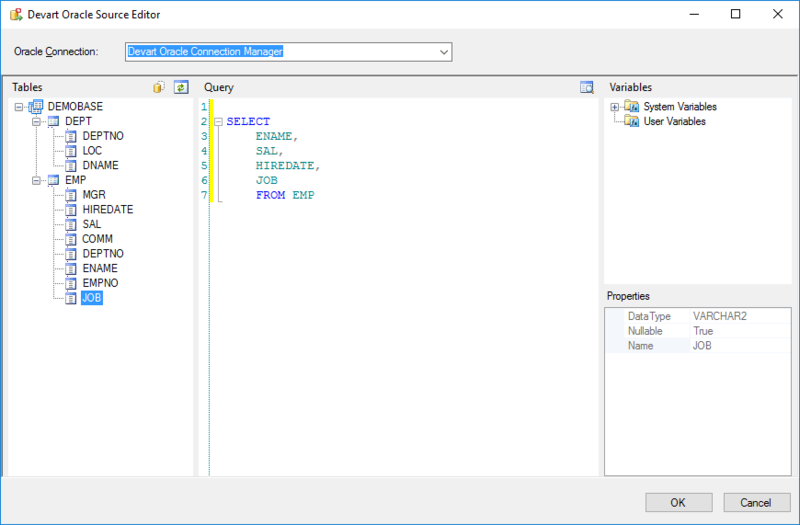 Our SSIS components for Oracle include their own connection manager, offering support for a lot of Oracle-specific and other features. 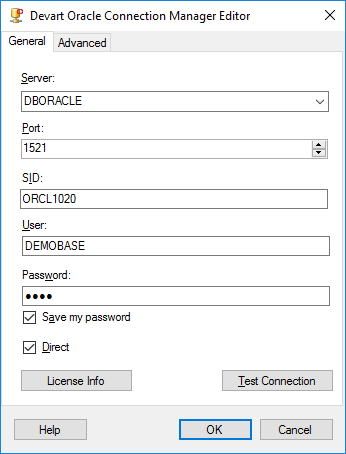 It offers the Direct connection mode that allows you to connect without Oracle Client. And for OCI mode it offers a wide number of settings for configuring OCI. 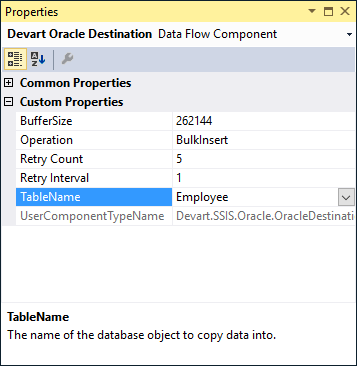 To speed up loading data to Oracle, Devart Oracle Destination uses the Direct Path interface in the OCI mode and Array Binding feature in the Direct mode. 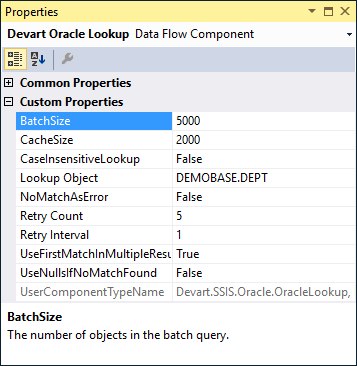 This helps to perform very fast bulk inserting of data.